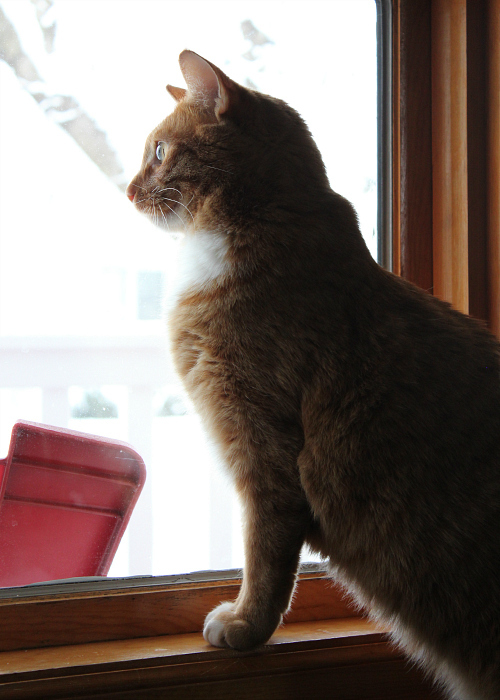 love, laurie: watching the snow . . .
watching the snow . . .
when we woke up on saturday morning, we were surprised to see that it was snowing, and that there were several inches of snow on the ground! everything was covered in a blanket of fresh white snow, and our neighborhood looked like a winter wonderland. it snowed all through the morning until lunch time, so we used that as a good excuse to stay home for the day. sometimes it's just so nice to be home and to not run anywhere. Cute pose. Nosey just like his mother.